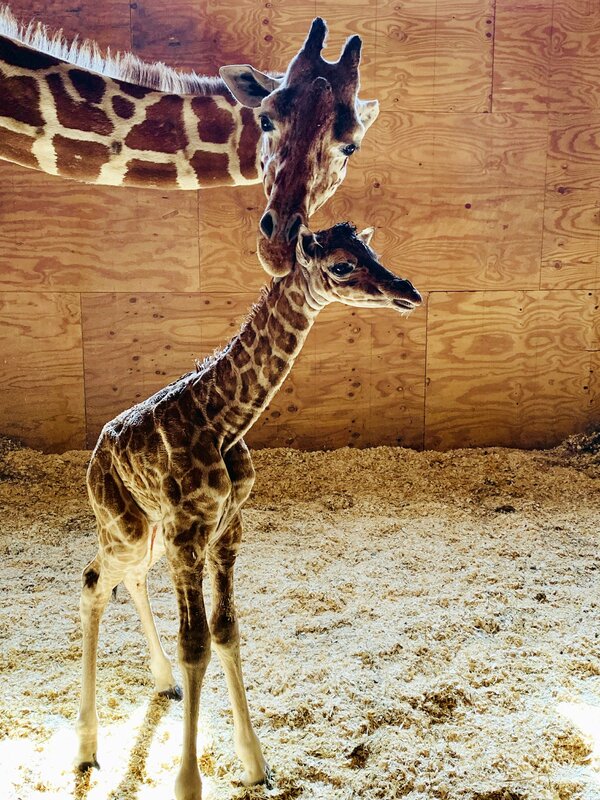 ALBANY, N.Y. — April the Giraffe gave birth once again in front of an enthralled YouTube audience on Saturday. This is April’s fifth calf and the second for her and Oliver, the dad of Tajiri and the newborn. A naming contest for the new calf will be held soon.